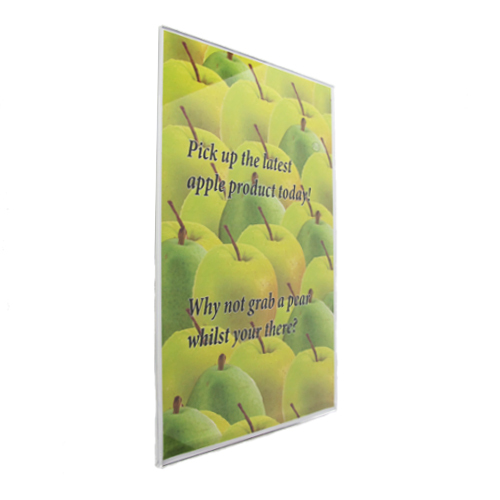 Poster holders holders in clear acrylic or PETG. 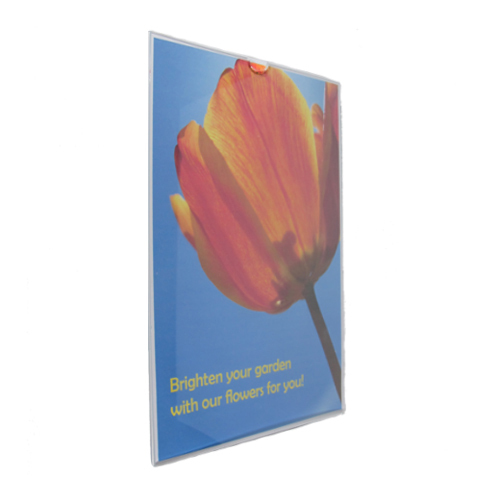 Made with a fold at the base and one at the top so that they can be attached to a panel or wall, allowing access to change a poster. Supplied with two lines of tape on each fold. PLEASE USE THE DROP-DOWN BOXES ABOVE to view different options for this item (eg by altering the 'material type'). 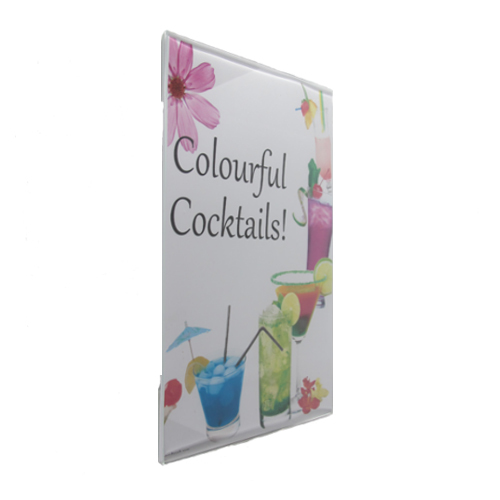 'C' profile poster holders (pockets) are fabricated from 2-3mm material, depending on size. 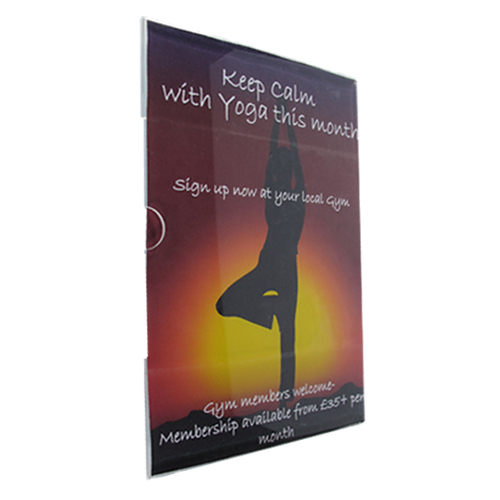 We usually make our C pockets from clear acrylic, but can also fabricate them from 'PETG'. PETG is a more robust material than acrylic. It has a slight grey tint and although a tougher material, is softer and therefore more easily scratched.